This class will be held on four consecutive Mondays: April 15th; April 22nd; April 29th; May 6th from 6:30 – 8:30 pm. This class is for anyone who is interested in learning about Judaism: Jews wishing to reconnect with their Jewish roots; interfaith couples; adult children and grandchildren of interfaith couples; in-laws of Jews; interested individuals from various faith and cultural backgrounds; or those interested in conversion. The classes serve anyone seeking more knowledge about Judaism as a good beginner course. 4. 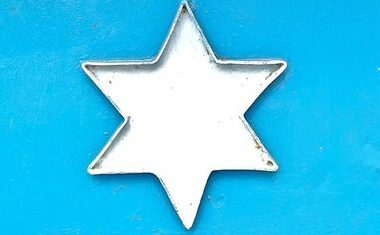 A Jewish home — what does it mean to have a Jewish home and what are customs and laws that might be followed? There is a small fee for all four weeks — $25 for CEEW members and $45 for non-members. Feel free to email Cantor Martin with questions: spiritualleader@waukeshatemple.org. Please mail your check for $45 or $25 along with this form. It is essential to register for the class by April 9th.